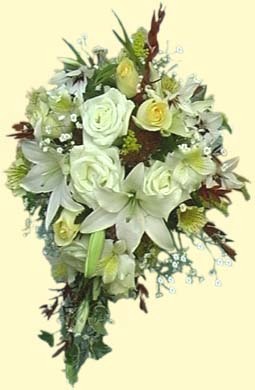 Since flowers are fragile and elusive they have always been used to communicate in matters of love and romance. 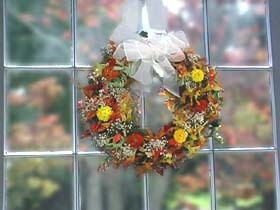 For hundreds of years, the loveliest weddings - large or small, simple or elaborate - have embraced the use of fresh flowers. Nature's special gift can never be duplicated and every wedding is unique. Creating beautiful flowers for brides is a part of our mission. I have participated in many weddings and believe it is how you decide to express yourself that is important. 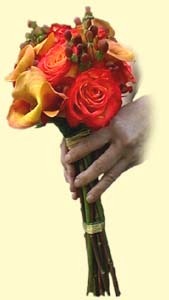 Flowers are an integral part of your personal approach and should make you smile. Flowers of every imaginable kind can be used. 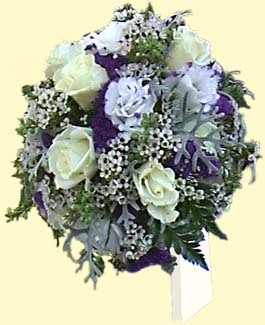 A bride's bouquet can be large, massive or minuscule; formal, simple or voluptuous; white, two toned or full of colors. By using what is seasonal you can reflect the colors, feelings and emotions of the time. Your wedding budget should include flowers, and attention should be focused on where, and in what proportion, flowers will make the most impact: decorations for the site of the ceremony, at home, at the reception, for the bridal party, etc. Please contact us at our email address or call us at 860.668.1030 so we can make an appointment to discuss your ideal wedding. My experience is that it takes a couple of hours for the initial consultation. You bring your ideas, color swatches, pictures, etc. to the table and I bring my resource materials and we work together to make your dreams come true.